Bay Area K Group (BAKG) is a charitable and educational non-profit organization for high-tech experts in the San Francisco Bay Area. Through monthly seminars, workshops, and conferences, we are committed to promoting the scientific, technological, and entrepreneurial knowledge for the general welfare of society. Since its inception in 1977, KCCEB has served the Korean American community in the Bay Area by providing community leadership, advocacy and direct services in the areas of immigration/citizenship, social services, domestic violence and sexual assault, youth leadership development, and faith-based community building. 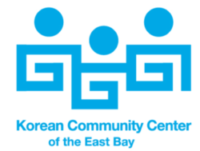 KCCEB remains one of the only organizations providing many of these services for the Korean American community in the Bay Area. Check out our service areas above. KCCEB empowers the Bay Area’s immigrant communities through (1) programs that provide access to services and systems and (2) community-based organizing to engage and transform the community. KCCEB embraces a culturally competent approach to its programming. We are the only organization in the Bay Area that provides services to the most vulnerable segments of the Korean American community – seniors, low-income families, new immigrants, and survivors of domestic violence. 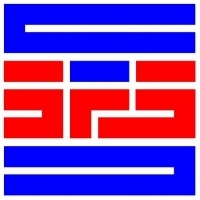 Korean American Community Services Inc. (KACS) is a community-based non-profit organization that provides social, educational, and cultural services for the Korean American community in Santa Clara County and the wider Silicon Valley area. KACS is particularly dedicated to assisting the elderly, low-income individuals and families, recent immigrants and the youth. The East Bay Korean-American Senior Services Center is committed to serving the Korean and Korean-American elderly population of the East Bay. To this end, the Center provides access to community resources and public assistance programs and facilitating Korean language communication is a particular focus. The community at large will benefit from the continued involvement of our physically and mentally strong elders. The Korean American Chamber of Commerce of Silicon Valley, 501c(6) non-profit organization, has been serving the South Bay for more than 30 years. We promote and facilitate commerce with the Korean American community in the Silicon Valley. Although the community is involved in all facets of business, the most notable are the professional, retail, and service related businesses. From the central location in Santa Clara (Lawrence Boulevard and El Camino Real) there are approximately 350 Korean American owned businesses within a 1 mile radius. The Chamber has played a part in establishing and assimilating those businesses within the South Bay community over the past several decades. As Korean American owned businesses play an increasing role in the South Bay, the Chamber will continue to work with local businesses, chambers and organizations while sharing the rich traditions of the Korean community. San Francisco is the place where many leaders of the Koran Independence Movement, such as Ahn Chang-ho, Jang In-Whan, Jeon Myeong-un, Lee Dae-wii(David Lee) were active; it is also where the immigrants have left their imprint on history. The first Korean immigrants faced extreme labor under harsh conditions, and were challenged by the language barriers in their new settlement. Korean churches and Korean center played a central role in building the Korean community. These figures in the community helped to lessen the cultural and social gap by uniting each other. A wave of Korean immigrants swarmed into San Francisco in the 1960’s and Dong-woo Kim inaugurated as the first president of KAACSF(KACCSF) in 1965. KABANC was founded to encourage and promote the professional growth of Korean-American lawyers and law students in Northern California; to foster networking, support, and the exchange of ideas and information among its members and with the local Korean-American community; and to work with other Asian, minority, and community organizations on matters of common concern. To further this mission, KABANC hosts networking and social events throughout the year.KABANC also strives to serve the Korean American and broader community, by educating the Korean American community about legal and other issues of interest which impact our community.We are an active affiliate of the National Asian Pacific American Bar Association (NAPABA), which represents the interests of Asian Pacific American attorneys throughout the United States. The Asian Business League of San Francisco (ABL-SF) was founded in 1980 as a nonprofit organization dedicated to the promotion of Asian Pacific American leadership in business. Through seminars, workshops, and social and networking functions, ABL-SF provides its members with opportunities to develop and enhance leadership and management skills, and to build relationships with other Asian professionals. ABL-SF also provides its members with opportunities to meet business leaders in the community and to address issues facing Asian professionals and Asian-owned businesses. INSPIRE, CONNECT and ENGAGE leaders within the Asian American/Pacific Islander business community. ENGAGE leaders with matters of interest to the business community. The Korean War Memorial Foundation was founded in San Francisco in 2009 with the purpose of building a permanent Memorial to commemorate the sacrifices of those who served in the Korean War. This mission has now been accomplished, and the Memorial now stands as a fitting testament to the memory of the nearly two million United Nations service men and women from twenty-one countries who fought to protect South Korea’s freedom. It will symbolize, for future generations, the sacred memory of those who went before, and the sacrifices they made for us and for freedom-loving people everywhere. In addition, it will serve to strengthen the close political and commercial ties that connect the United States and the Republic of Korea. It is fitting that the Memorial site looks westward across the Pacific Ocean, the waters that connect our two nations. Seoul and San Francisco have signed a sister city agreement in 1976 and have strengthen exchanges and cooperation ever since. The mission of San Francisco - Seoul Sister City Committee is to strengthen cultural and commercial ties between our two cities. Through enduring friendship, civic engagement, and a shared vision, the committee strives to unite these two global cities together. It would be highly appreciated you have an interest and join with us. KYDO is a program in Korae that shares dreams and hopes with the children of low-income families through music education. KYDO US joins this program for the Korean-American young musicians to share their talents with the children in Korea. Every summer, slected students visit Korea to teach and play with the adolescents in the orchestra and perform concerts together at the venues like Sejong Cultural Center or Art Hall in Seoul. Currently, there are 25 KYDO locations throughout Korea for music education and instrument provision. Conductor Nanse Gum is is leading the program as the artistic director. KASCL's mission is to keep Korean American seniors healthy and active by providing weekday lunches, exercise and enrichment classes, social service counseling, and citizenship preparation. Providing an array of high quality health and human services. Sharing expertise about the Asian community’s needs and best service delivery practices. Asian Health Services, founded in 1974, provides health, social, and advocacy services for all regardless of income, insurance status, immigration status, language, or culture. Our approach to wellbeing focuses on “whole patient health,” which is why we provide more than primary care services, including mental health, case management, nutrition, and dental care to more than 27,000 patients in English and over 12 Asian languages: Cantonese, Vietnamese, Mandarin, Khmer, Korean, Tagalog, Mien, Lao, Mongolian, Karen, Karenni, and Burmese. WomanUp is a 501(c)(3) (EIN: 82-1062119) nonprofit dedicated to empowering and connecting female Korean leaders since April 2017. Our team recruits high-potential female Korean women interested in pursuing a leadership role in the future. Mentors include leaders in government, international development, law, entertainment and many more! HCCNC was officially organized as a California mutual benefit nonprofit corporation that was formed as a result of several discussions and meetings among the three founders, all originally from Hawai`i and now living and working in the San Francisco Bay Area. The founders realized that a unique synergy existed among all their acquaintances who either were from Hawai`i and living in the mainland or spent time in Hawai`i and were familiar with the Hawaiian way which consists of a blend of trust, good humor and a genuine desire to help one another. This, they realized, was a business intangible that is normally only developed after months – maybe years of doing business with a person or a group. This, they also realized, was a valuable commodity among their acquaintances and those in a similar situation that should be identified, organized and focused to generate value.